The Biblical story of Rahab retold from a fresh perspective… As a teenager, Rahab is forced to choose a life of selling her body in order to help feed her family. However, instead of becoming a temple prostitute, she chooses her own clients and learns how to be the best business woman but still she is empty inside. After saving and harboring two Israelites, she asks the men to promise that she’ll be safe from the God of Israel’s judgment on her city. God grants her request and saves Rahab and her family. She and her family must adapt and adjust to life outside the walls of Jericho – the people of Israel are nomadic and very religious. Rahab finds what she’s been looking for in the God of Israel. Joshua, the leader of Israel, commands Salmone, one of the tribe leaders of Israel, to take Rahab and her family under his wing to share all of the laws and beliefs of the Israelites. Rahab is so hungry for God that Salmone’s prejudice against her slowly changes into deeper feelings. Will he be able to share what’s in his heart? Will Rahab return his feelings? Will Rahab’s family be able to adapt to the laws of Israel? Will Rahab ever be accepted? I thoroughly enjoyed this retelling of the story of Rahab. I liked how the author took some liberties to make the story more believable but still stayed within the historical context. Rahab had real questions and real needs. She learned to care for herself and build up walls to protect herself from being hurt. Salmon’s character was also very realistic and well written – a man full of feeling and pride who still needs to grow. The pacing of the story was perfect. 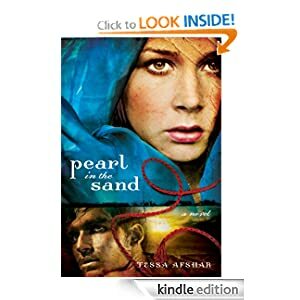 I would definitely recommend this book to anyone who likes to read Christian romance based on the Bible. It is definitely worth a second read.